Obesity and other metabolic variables are associated with abnormal brain structural volumes and cognitive dysfunction in HIV-uninfected populations. 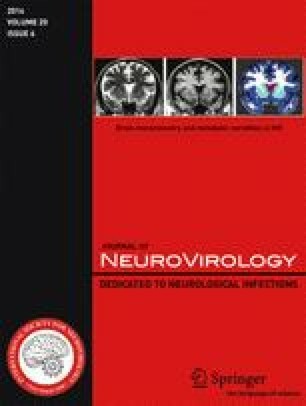 Since individuals with HIV infection on combined antiretroviral therapy (CART) often have systemic metabolic abnormalities and changes in brain morphology and function, we examined associations among brain volumes and metabolic factors in the multisite CNS HIV AntiRetroviral Therapy Effects Research (CHARTER) cohort, cross-sectional study of 222 HIV-infected individuals. Metabolic variables included body mass index (BMI), total blood cholesterol (C), low- and high-density lipoprotein C (LDL-C and HDL-C), blood pressure, random blood glucose, and diabetes. MRI measured volumes of cerebral white matter, abnormal white matter, cortical and subcortical gray matter, and ventricular and sulcal CSF. Multiple linear regression models allowed us to examine metabolic variables separately and in combination to predict each regional volume. Greater BMI was associated with smaller cortical gray and larger white matter volumes. Higher total cholesterol (C) levels were associated with smaller cortex volumes; higher LDL-C was associated with larger cerebral white matter volumes, while higher HDL-C levels were associated with larger sulci. Higher blood glucose levels and diabetes were associated with more abnormal white matter. Multiple atherogenic metabolic factors contribute to regional brain volumes in HIV-infected, CART-treated patients, reflecting associations similar to those found in HIV-uninfected individuals. These risk factors may accelerate cerebral atherosclerosis and consequent brain alterations and cognitive dysfunction. The CNS HIV AntiRetroviral Therapy Effects Research (CHARTER) study is supported by awards N01 MH22005, HHSN271201000027C, and HHSN271201000030C from the National Institutes of Health. The present study also was supported by National Institutes of Health grants P30 MH62512 (HIV Neurobehavioral Research Center, HNRC) and R01 MH79752. *The CHARTER group is affiliated with the Johns Hopkins University, Mount Sinai School of Medicine, University of California, San Diego, University of Texas, Galveston, University of Washington, Seattle, Washington University, St. Louis, and is headquartered at the University of California, San Diego, and includes Director Igor Grant, M.D. ; Co-Directors Scott L. Letendre, M.D., Ronald J. Ellis, M.D., Ph.D., Thomas D. Marcotte, Ph.D.; Center Manager Donald Franklin, Jr.; Neuromedical Component Ronald J. Ellis, M.D., Ph.D. (P.I. ), J. Allen McCutchan, M.D., Terry Alexander, R.N. ; Laboratory, Pharmacology and Immunology Component Scott Letendre, M.D. (P.I. ), Edmund Capparelli, Pharm.D. ; Neurobehavioral Component Robert K. Heaton, Ph.D. (P.I. ), J. Hampton Atkinson, M.D., Steven Paul Woods, Psy.D., Matthew Dawson; Virology Component Davey M. Smith, M.D. (P.I. ), Joseph K. Wong, M.D. ; Imaging Component Christine Fennema-Notestine, Ph.D. (P.I. ), Michael J Taylor, Ph.D., Rebecca Theilmann, Ph.D.; Data Management Component Anthony C. Gamst, Ph.D. (P.I. ), Clint Cushman,; Statistics Component Ian Abramson, Ph.D. (P.I. ), Florin Vaida, Ph.D.; Protocol Coordinating Component Thomas D. Marcotte, Ph.D. (P.I. ), Rodney von Jaeger, M.P.H. ; Johns Hopkins University Site Justin McArthur (P.I. ), Mary Smith; Mount Sinai School of Medicine Site Susan Morgello, M.D. (Co-P.I.) and David Simpson, M.D. (Co-P.I. ), Letty Mintz, N.P. ; University of California, San Diego Site J. Allen McCutchan, M.D. (P.I. ), Will Toperoff, N.P..; University of Washington, Seattle Site Ann Collier, M.D. (Co-P.I.) and Christina Marra, M.D. (Co-P.I. ), Trudy Jones, M.N., A.R.N.P. ; University of Texas, Galveston Site Benjamin Gelman, M.D., Ph.D. (P.I. ), Eleanor Head, R.N., B.S.N. ; and Washington University, St. Louis Site David Clifford, M.D. (P.I. ), Muhammad Al-Lozi, M.D., Mengesha Teshome, M.D. The views expressed in this article are those of the authors and do not reflect the official policy or position of the United States Government. Some aspects of this study were presented at the Fourth International Meeting on HIV Infection and the Central Nervous System: Treating the Brain in the HAART Era. Frascati (Rome), Italy, July 2011. S.L. ARCHIBALD, MA—The author declares no conflict of interest. J.A. MCCUTCHAN, MD, MSc—The author declares no conflict of interest. C. SANDERS, MPH—The author declares no conflict of interest. T. WOLFSON, MA—The author declares no conflict of interest. T.L. JERNIGAN, PhD—The author declares no conflict of interest. R.J. ELLIS, MD, PhD—The author declares no conflict of interest. B.M. ANCES, MD, PhD—The author receives research support from NIH. A.C. COLLIER, MD—The author has current research support from NIH and had past research support from Boehringer-Ingelheim, Gilead Sciences, Merck & Company, Roche Molecular Systems, Schering-Plough, and Tibotec-Virco. She is a member of a Data, Safety, and Monitoring Board for a Merck-sponsored study and participated in one half-day Advisory Board for Pfizer in 2009. She and an immediate family member previously owned stock in Abbott Laboratories, Bristol Myers Squibb, Johnson and Johnson, and Pfizer. J.C. MCARTHUR, MD—The author receives support from NIH HHSN271201000036C. S. MORGELLO, MD—The author receives support from NIH grants U24MH100931, R25MH080663, and HHSN271201000036C. D.M. SIMPSON, MD—The author receives research support from the NIH (NINDS and NIMH). C. MARRA, MD—The author receives research support from NIH/NINDS and royalties from UptoDate and Wolters Kluwer. B.B. GELMAN, MD, PhD—The author receives support from NIH Grants NS072005, MH79886, and HHSN271201000036C. D.B. CLIFFORD, MD—The author declares financial support for research from: Bavarian Nordic, Lilly, Roche, Biogen Idec. NIH: NIAID, NIMH, NINDS, NIA, Alzheimer’s association; he has consultancy relationships with Pfizer–DMC Consultant, Genzyme–DMC Consultant, Millennium–DMC Consultant and Consultant at FDA Hearing, Drinker, Biddle, Reath–Consultant for PML Consortium, Chair Scientific Advisory Panel, Amgen–Consultant, Quintiles–DMSB Consultant, Arnold Todara & Welch–legal consultation, W. Holt Smith Attorney—legal consultation, Biogen Idec–Consultant, Cytheris–clinical trial development, FDA hearing consultant, Genentech–PML Expert Panel consultant, Genentech–PML Adjudication Committee, GSK–PML Adjudication Panel Consultant, BMS–CEC Adjudication Committee consultant, AstraZeneca PML Event Committee, Glaxo smith Kline Adjudication and Advisory Panel, Millennium/Seattle Genetics–Adcetris Adjudication Committee, Novartis–PML Safety Committee; and he receives speaker support from: Sun Pharmaceuticals, Biogen Idec-Japan. I. GRANT, MD—The author declares no conflict of interest. C. FENNEMA-NOTESTINE, PhD—The author receives research support from NIH and has no conflict of interest.